Staying in shape is never easy. It requires dedication, motivation and a willingness to commit time. If you don’t work on your physical fitness on a weekly basis, then you lose your momentum and have to start back at square one. The same can be said about speech fitness. But, what exactly is “speech fitness?” Well, just like you exercise to keep up your physical fitness, it is important to practice your speaking skills in order to keep up positive habits. But you can’t just practice right before an important speech, presentation or job interview. You have to exercise your speaking skills on a daily or weekly basis. After all, would you run a marathon after not working out for the last few months? There’s an app that can help with that. 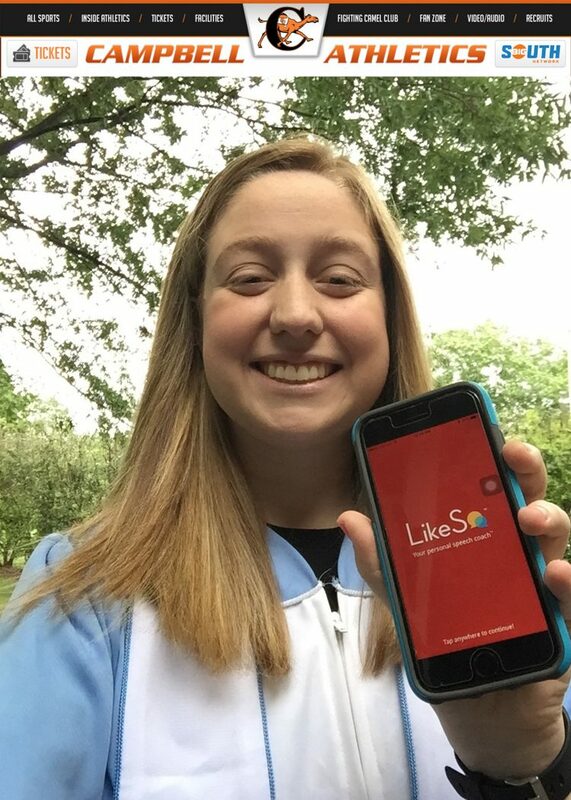 I started using LikeSo in March 2016 when Say It Media, Inc. CEO and co-founder Audrey Mann Cronin was a guest speaker in my Public Relations Case Studies class in the UNC School of Media and Journalism. 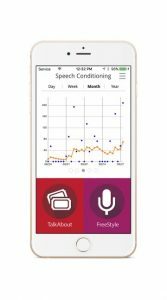 For those who are still in the dark, LikeSo uses voice recognition technology to track an individual’s pace and use of filler words, giving the user a grade for their speech. When Mann Cronin visited my class, I was inspired to “work out” my speech habits, as I wanted to improve my interview skills heading into my senior year at UNC. Ever since I have dedicated 10 minutes of my day three times a week to work on my speech fitness. Over the last year, I have been able to track my weekly progress by setting goals and reminders and looking at my improvement in LikeSo’s Speech Quality Points. The regular use of LikeSo has made a huge difference in improving my speech skills. As a student, I have to make presentations on a regular basis, and I used to always get very anxious about using excessive filler words, speaking too fast and not coming off as confident. However, my presentations from the last two semesters have been much better, as I am significantly more confident in my speaking abilities. Also, I can now say the words that every college senior dreams of saying: I GOT A JOB! Last month, I was hired as the Athletic Communications Assistant at Campbell University. LikeSo was a huge help as I prepared for two interviews. During the several months of my job search process, I used LikeSo’s “The Job Interview” topic in Talkabout mode to make sure I was confident and prepared. And it worked! The use of the app made a huge difference for me, and it can for you too. Now that I am employed, I will continue to use LikeSo on a regular basis in order to prepare to excel as a communicator in the Campbell University athletic department. Communicating with relevant publics about the success of Camel athletes will be imperative, and I want to succeed during all of these speaking opportunities.